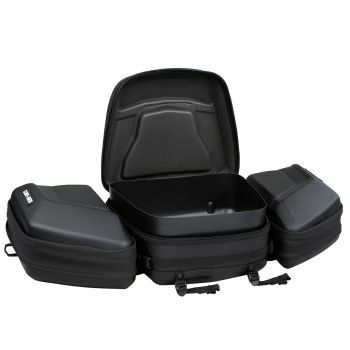 Audio cargo box to sweeten your ride. Fits: Traxter, Traxter MAX, G2 (front only for 6x6 & MAX models 2013-2014), G2L, G2S, Maverick. Delivers the best sound quality on the market to sweeten your ride courtesy of a built-in full range high efficiency amplifier. 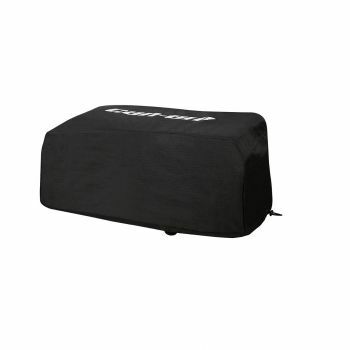 Mounts on/off easily to hold/carry cargo safely and securely. Automatic shut-off function protects your battery by turning the system off after 10 minutes of inactivity. Now that’s music to any rider's ears! The Bluetooth enabled receiver and 6.5” (16.5 cm) speakers are smartly concealed and integrated in the cover. Backlit control panel perfect for night riding. Water-resistant speakers. ATV: LinQ Base (715002350) is required for G2L. LinQ Luggage Rack (715001734) is required for G2S. Maverick: Not compatible with Lonestar Racing Intrusion Bar. Traxter: LinQ Cargo Rack (715003443) is required.